Can you believe that I’ve never seen KISS in concert? I can’t either. I have watched two seasons of Gene Simmon’s reality show but no live concerts. Gene Simmons in footie pajamas is one of my favorite things in the world. So this summer, my boyfriend and I are going to the Chicago Open Air Festival. KISS was the deciding factor between that show and Rock on the Range. We’re driving three extra hours. 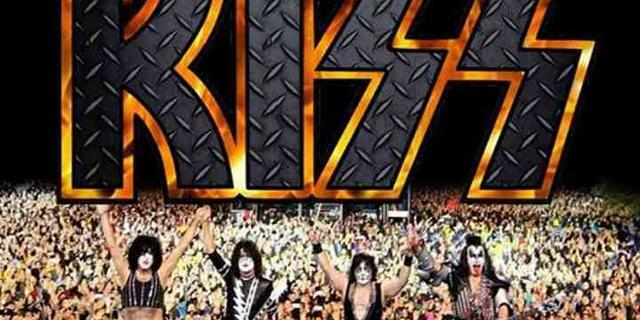 It will all be worth it so I can cross the KISS concert off of the bucket list. P.S. I was not able to attend the concert. My boyfriend went with his dad and they had a great time. They do an amazing show – I’ve lost count how many times I’ve seen them, but the last time was over 10 years ago. Have fun! I’m really looking forward to seeing them!! I’ve never seen KISS in concert either. I saw them in London a few years ago – totally awesome 😊 You’ll love the concert!